Yes, it is used for comparing the relative surface brightnesses of stars. This is impossible. SE build static database in RAM during loading, it cannot be changed in runtime. 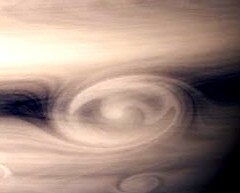 Cutted cyclones are not related with seams in meshes. That have a completely different reason. However, as The_Blazer said, it would be useful an autosave location (in user.cfg), well, every 30-60 seconds, so if/when SE crashes, you can restart almost from where you were. Every time you use the go-to function the location is saved in the journal. Ah, forgot about that, sorry. Motion blur when dragging with rmb seems to be bugged. With V-Sync enabled - low fps (60) - distant objects/stars blur looks ok but it blinks for close objects. With V-Sync disabled - high fps (I'm getting up to ~500 depending on scene) - blur is almost not visible for distant stars and looks really weird for close objects. It looks like that only when dragging with right mouse and works fine for any other camera movement. Could anyone lend a terra_color.glsl out of their shaders.pak for me. I deleted the code for albedo variations for the terras and now the game doesn't work. I removed the albedo on the selenas as well but it worked for those. I know... who doesn't make a backup of their files. Yes... I will be more careful next time. Yes... I know I shouldn't be messing around in the actual .pak file. Yes... I know I should have made my own .glsl file outside of the .pak file. I messed up. My internet is godawful and I would rather not download RC1 again. Btw this is 0.974 RC1. Okay nevermind. I found an extra copy of the game in my downloads folder. I did a little tweaking and found the problem was that I deleted a little bit too much of the the code. (I deleted everything under //Global Albedo Variations the first time.) So now I have no more albedo on my terras and selenas. hey, have any of you looked at the crab nebula in rc1? Cause for me it's not rendering. EDIT: also, the white giant in ss 433 doesn't render, but it's corona does. EDIT2: upon further investigation, it seems that any star near a bh doesn't render. I found a big central bh with lots of stars, and the ones nearest it don't render. Actually, it seems that only the giant stars don't render. the main sequence ones do. What is your video card? If your graphic drivers are outdated, then you should update your drivers. EDIT: yeah, that fixed. I don't know why I didn't figure that out myself. Alot of things changed in RC1 all my planet colors were messed up. I had to fix everything. I had to modify the the atmosphere files for pinkworld and greenworld. The shaders were different and there were gross brown patches on my planets. Had to edit the shaders to get rid of those. I have fixed all my planets and edited the necessary shader files and in the end... Everything actually looked better. Because I had to start over again and make improvements I made tweaks that made the planets look better. I'm still looking for a way to set SpotBright and SpotWidth to be 0 and 0.001 globally though, Could anyone help me with that. Anyway, Space Engineer, I have come across a few bugs. The erosion setting results in jagged edges when set above 0.1. When set to play by context background music will switch and stop at random. These are all the bugs I've encountered so far I think. Thanks for the update Space Engineer! It fixed alot of bugs and in the end stuff was improved. Oh yeah two more bugs! There are still weird terrain cut-offs and lines and when crater rays are high enought they cut off randomly and look extreeeemely ugly. I can't load your pictures.